When is a pancake not a pancake? When it’s a bona fide dessert. 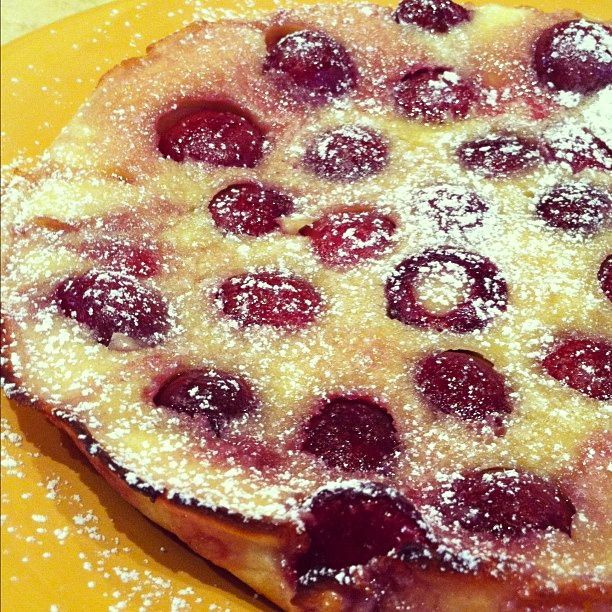 Like this cherry clafoutis. See, I was feeling bad about sharing another oven-baked pancake. I’m a little obsessed with them. But this pancake is really a custard and fresh cherries are so juicy right now that I can’t resist. The French serve it at dinner parties with the pits intact! Talk about a buzzkill. Supposedly the pits enhance the cherry flavor. This is one situation in which I’d willingly sacrifice flavor to keep my teeth. 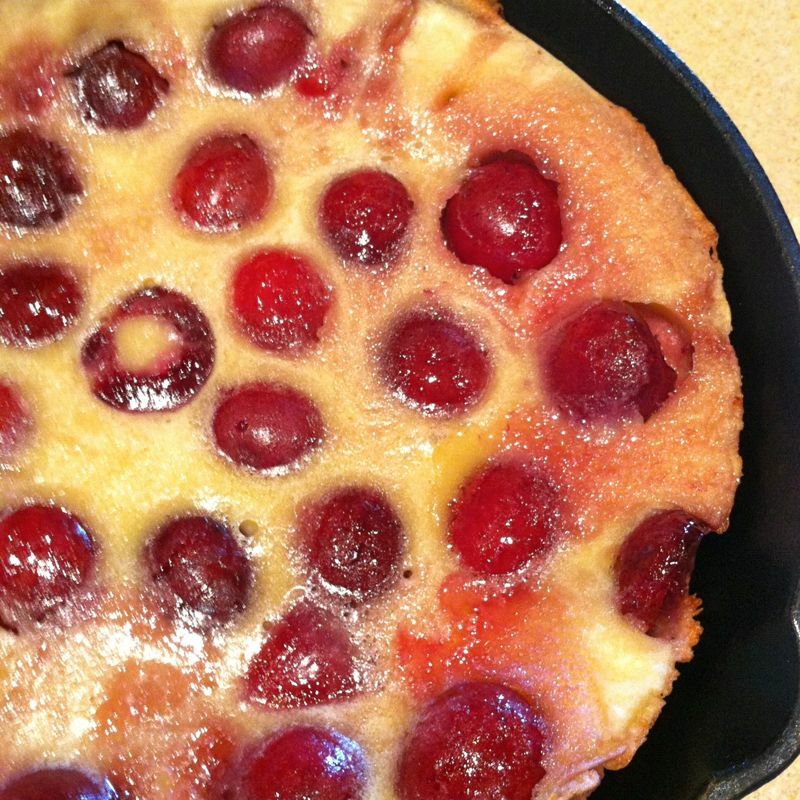 I used fresh, pitted cherries and followed this recipe. 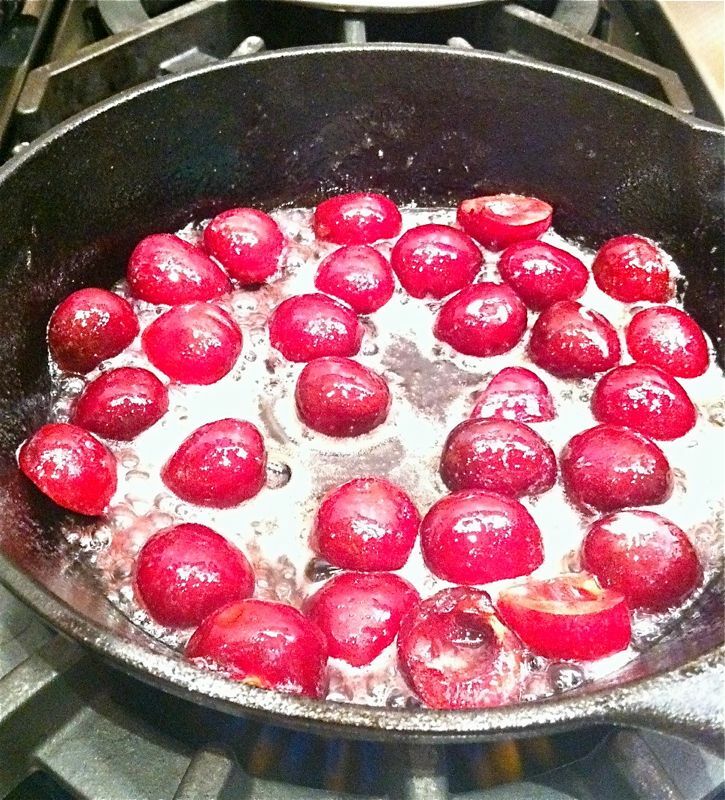 First I made the batter then sauteed the cherry halves briefly in butter and sugar in a cast-iron skillet. 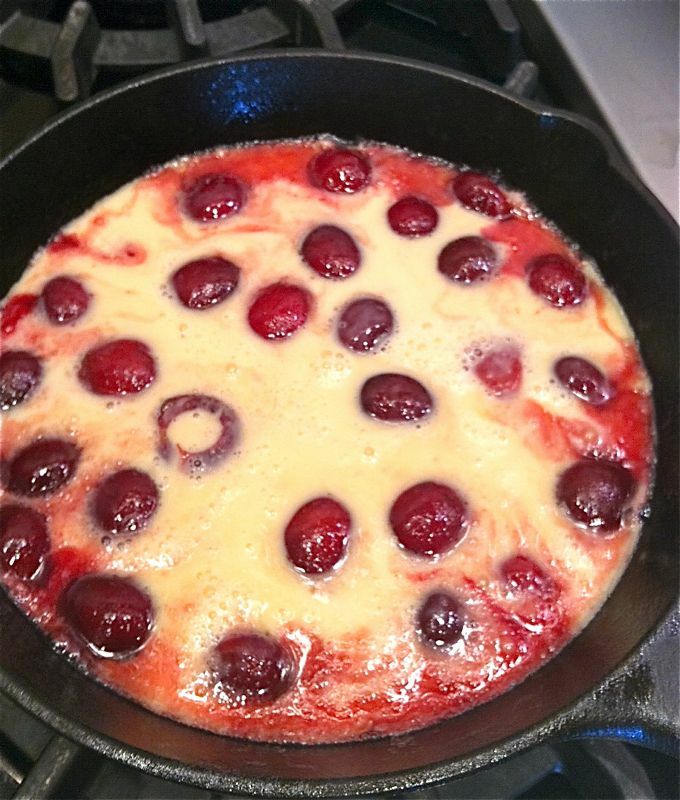 Next, I poured the batter over the softened cherries and placed the skillet in a preheated 425 oven. 20 minutes later we had a puffer ready to be powdered. I’ve read that clafoutis can be made ahead and served room temperature, but doing it that way detracts from the whole effort. You want to see it puffed, smell the warm cherries and watch the powdered sugar and cherry juice thicken to a sweet syrup. Would you serve pancakes for dessert?